What is The Process of Asphalt Resurfacing? 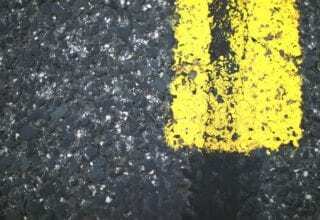 When an asphalt surface can no longer be fixed with repair techniques or when it reaches a certain age, it must be resurfaced. Asphalt typically has a service life of eight to 12 years. Factors such as traffic volume and weather determine how long it will last. With a new asphalt surface, a road looks better and is easier for motorists to use. There are several steps in the asphalt resurfacing process. Preparation starts several weeks before the actual resurfacing takes place. If there are ramps for handicapped access, those must be fixed or demolished and rebuilt first. After this, the contractor notifies all people in the area about the upcoming project and its details. Written notices contain contact information for the contracting company. If necessary, utility features may be adjusted as necessary to avoid damage to them. A few days before resurfacing takes place, asphalt milling starts. This process involves removing the top layer of the old asphalt. If the milling involves areas where people usually park, the contracting crew places signs with parking instructions. After the milling process is finished, any utilities that were adjusted will be properly aligned. The preliminary milling process may take about one day. The pavement below the asphalt layer may be damaged. If this is the case, spot repairs take place first. With deep pavement repair, crews work on square or rectangular sections. They apply more asphalt to areas that require deep repairs after they fix them. At this time, it may look like the area has been resurfaced even though resurfacing has not yet started. More milling takes place to make the surface level with the surrounding paved area. A layer of asphalt is applied to seal the milled area and to smooth over joints or seams. Milling, repairs and sealing may take anywhere from a day to a week. Once the surface is ready, the asphalt is applied. This involves multiple layers. The first layer is called a tack coat and is sticky. It helps hold the asphalt to the repaired surface. Asphalt is laid using rolling and paving machines. After this, lines or other necessary pavement markings that were destroyed must be repainted. When full resurfacing is not required to fix a damaged road, a work crew may perform what is called rejuvenation. This process involves cleaning, a surface treatment, a sand layer and removal of the sand after the area is cured. Crack sealing is also a common type of repair in places such as Florida where the sun shines most of the time. The sunlight oxidizes the oils in the asphalt’s surface, and a perpetual cycle of this leads to cracking. If asphalt surface cracks are ignored for too long, they deepen and require extensive restoration. All businesses and government organizations must keep their commercial asphalt areas in good condition. When people fall in parking lots or along private paved driveways, they may sue. Also, poor surface conditions in parking lots can contribute to vehicle or bicycle accidents. It is important to work with an experienced engineering company for all maintenance and repairs of asphalted surfaces. Since 1998, Southern Asphalt Engineering Inc. has provided business owners throughout Miami and Dade Counties with quality parking lot construction and resurfacing services. We are proud to provide you with quality services and excellent customer care during every interaction with us.Contact us today for more information about road and parking lot construction, maintenance, repairs and resurfacing.